The most advanced iPhone ever made is official. While you might love your current iPhone (or Android device), Apple’s iPhone XS deserves everyone’s full attention. Apple took last year’s flagship and made worthwhile upgrades in various areas. So it’s not a complete lame duck despite what detractors have been saying. If you’re going to charge $1,000+ for a product, it better be premium from top to bottom. Apple wouldn’t release an underwhelming iPhone model that plays it safe, after all. From the hardware alone, it’s clear that Apple went above and beyond. The iPhone XS, made from stainless steel and glass, appears more attractive than most of its competitors. Inside, Apple upgraded the chipset as well as the cameras on both sides. You want power, and you’re getting exactly that. 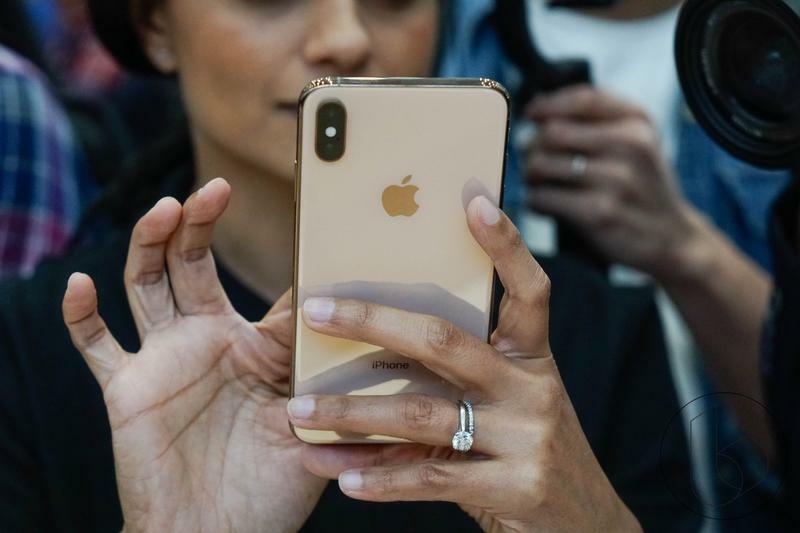 Here’s what you need to know about Apple’s iPhone XS. In the last year, we’ve witnessed the iPhone X transition from foreign to futuristic in terms of design. The iPhone XS, to be honest, looks almost exactly the same. Apple didn’t reinvent its flagship because, well, it didn’t need to. Now you get the same cutting-edge design with better internal specifications. The stainless steel construction lets your iPhone XS survive modest knocks and drops. On the front and back, Apple implemented what it labels as the “most durable glass ever in a smartphone.” What does that mean? The iPhone XS shouldn’t collect scratches or crack too easily. Much of the controversy for its predecessor targeted the edge-to-edge screen’s notch, but no one cares about that anymore. The benefits of Face ID and enhanced selfies are well worth the small dip into the OLED panel. If you were into the iPhone X, you’ll be into the iPhone XS. Apple even brought back the same Silver and Space Gray variants. The bonus, though, is that you can select the iPhone XS in Gold. Each of the three colors amplifies how luxurious this iPhone is. Look at the iPhone XS, and then look at other top brands’ flagships. The iPhone XS stands alone. 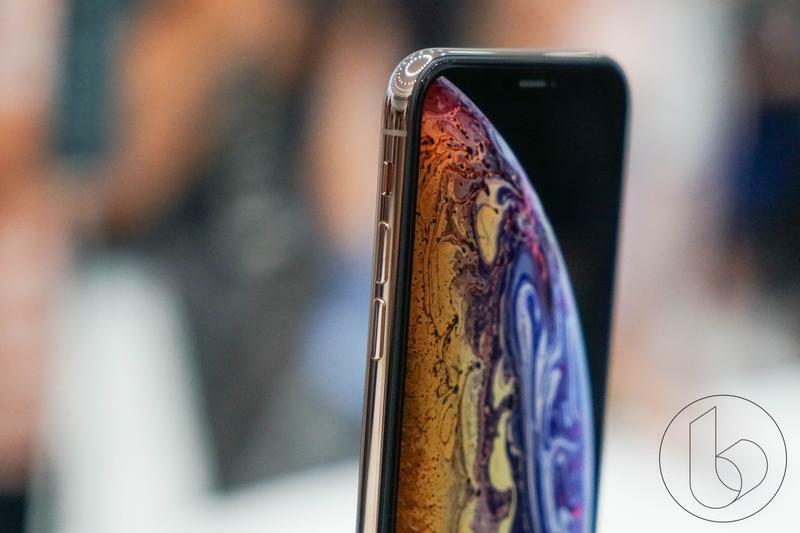 Just as its predecessor did, the iPhone XS tells the mobile industry where the bar is set and watches imitations fall flat. Apple uses premium materials and complex processes, and so far there hasn’t been any hardware manufacturer to match that standard. Once again, Apple’s hardware engineers impress with their attention to style and detail. Maybe you wanted an entirely different design, but the iPhone XS still stands out. Apple’s latest flagship isn’t dated one bit. Furthermore, now you get to choose between two display sizes. New iPhone, new chip. That’s always been how Apple rolls. The A12 Bionic is the first 7nm-based chip inside any mobile device. It’s extremely small, but the custom design stores two performance cores and four efficiency cores. During its unveiling, Apple explained the large advantage over the A11 Bionic. Now your iPhone is up to 15 percent faster and up to 50 percent less power-hungry. Apple also upgraded the graphics performance, allowing games and video editing to be up to 50 percent faster. So the A12 Bionic is about efficiency as much as raw speed. The chip welcomes a neural engine, too. Real-time machine learning gains an understanding of your behavior and makes predictions later on. Based on its description, the neural engine can perform five triller operations in one second as it analyzes how you use your iPhone XS..
It’s hard to recognize speed differences between recent generations; however, Apple’s neural engine and improved battery life from the A12 Bionic might be noticeable to all users. Apple’s 5.8-inch display for the iPhone XS shouldn’t worry you. With the thinned out against the perimeter, this iPhone remains compact. The iPhone XS, meanwhile, offers the same layout. More screen real estate is what you want, folks. The edge-to-edge screen isn’t unique these days, but the iPhone XS’ custom OLED panel doesn’t have many rivals. Samsung can give Apple a run for its money, and that’s because the South Korean company acts as the iPhone’s supplier in this area. But Apple also tosses in its own technologies. Along with Dolby Vision and HDR10 for greater dynamic range, this iPhone boasts True Tone. The iPhone XS adjusts white balance in real-time to match nearby color temperature. On the iPhone XS, colors are insanely accurate. The brightness can climb sky-high, but blacks and dark shades stay deep. It’s a tough medium to find because colors often pop while seeming unrealistic. 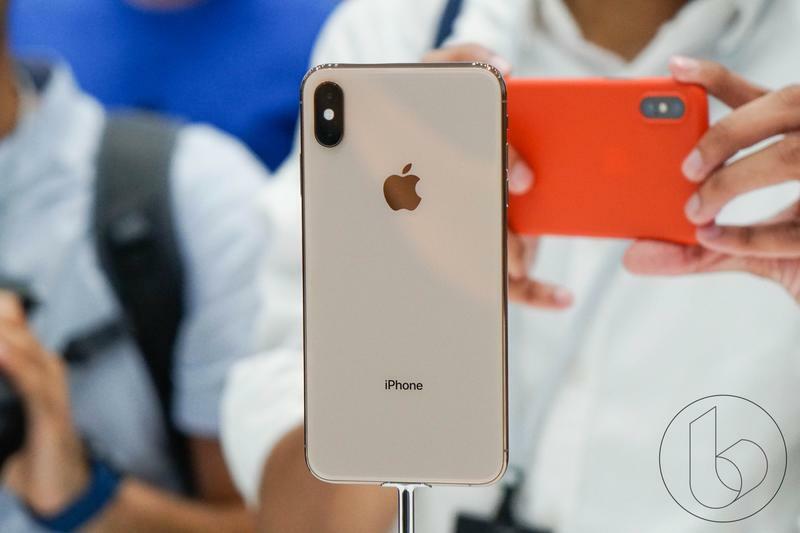 Apple confirmed its iPhone XS duo features systemwide color management and 1,000,000:1 contrast ratio. Every pixel on the 5.8- and 6.5-inch displays is vibrant, defined, and dazzling. As for the iPhone XS Max, you’re enjoying more pixels (2688×1242) to compensate for the 6.5-inch display. It has the same OLED, Super Retina, True Tone, and HDR technologies at work. Because of the 6.5-inch display, all apps, games, and videos will feel even more immersive. Yet there’s no doubt a high-end viewing experience awaits on the regular iPhone XS, too. 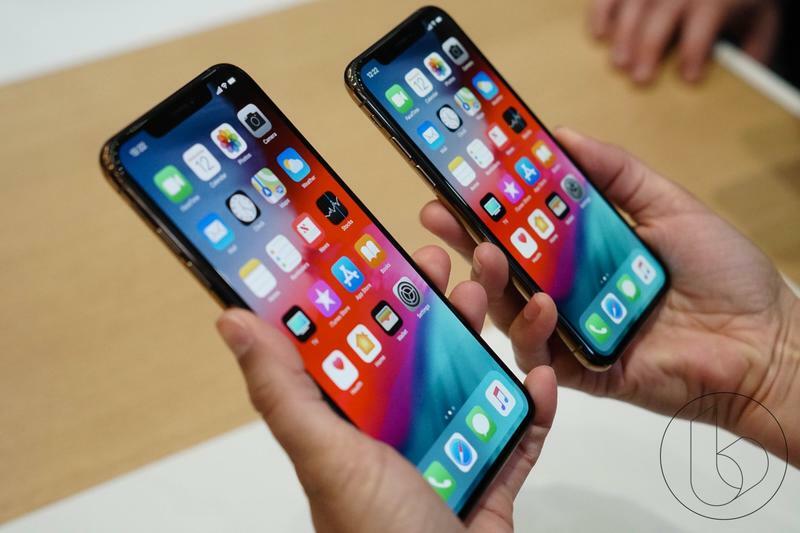 The iPhone XS and the iPhone XS Max have 458 pixels per inch that keep all content looking as sharp as possible. The rise of cloud storage means we use less on-device storage, but there are still quite a number of people who take up so much space on their iPhone. Apple knows they exist, and thus the iPhone XS can be purchased in storage configurations ranging from 64GB to 512GB. As if 256GB isn’t enough, the Cupertino-based company assembled the iPhone XS and the iPhone XS for those who store everything locally. The 512GB variant starts at $1,349 and let’s not pretend there won’t be consumers who actually drop the money for it. While the premium might seem like a lot, there’s nothing more satisfying than having all files available immediately. By the way, the vast majority of us can live comfortable with 64GB of storage. Don’t feel compelled to splurge on 256GB or 512GB unless you really require it. The dual-camera setup that Apple ushered in last year returns, and in 2018 it’s the software that steps up the whole package. “Say hello to a new era of photography,” Apple brags. It has two 12MP cameras, a wide-angle lens and a telephoto lens, like before. Where are the refinements? Behind the scenes, starting with the image signal processor (ISP). Apple tweaked its depth engine for the iPhone XS’ portrait mode. It also led to the creation of Smart HDR. Now the iPhone can decipher the dynamic range and capture all details in a shot. In any lightning, the iPhone XS should be able to highlight a subject while not drowning out the quality elsewhere. Apple made the pixels larger and deeper to gain in image fidelity. There’s no reason the iPhone XS can’t be your only camera in 99.9 percent of situations. The TrueDepth camera system up front has a 7MP camera. New for the iPhone XS is video stabilization, and its sensors are upgraded to let Face ID react quicker.